Are Massage Chairs Good for Your Back? 1 Where Does It Hurt? 2 What Is Your Pain Level? 5 Back Massage Chair While Pregnant, Is It Safe? When you’re hurting, you want to feel better as quickly as you can make that happen, and you don’t much care how. Whatever works, most people are willing to try it. 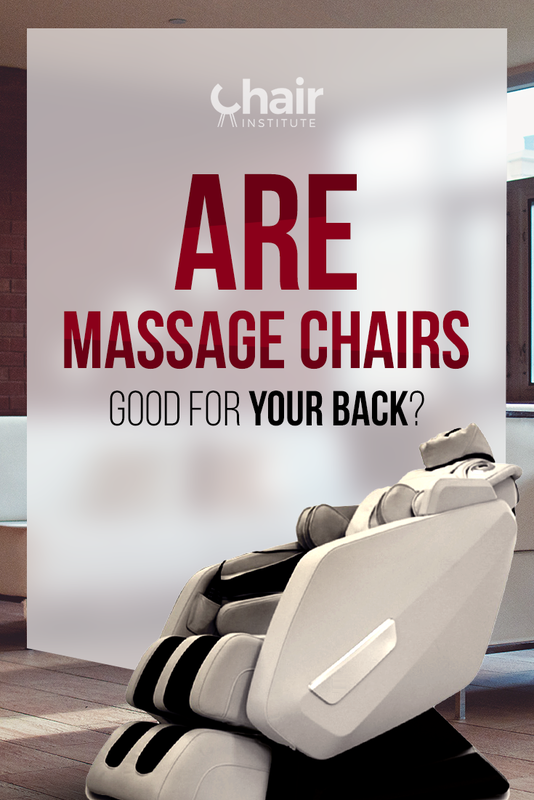 Do massage chairs help back pain as much as going to an real masseuse or chiropractor? We’ll explore the question more fully in the sections that follow, but the long and the short of it is that if you’re looking for a way to help ease your pain and feel better, a massage chair is certainly a viable option. Let’s dig a little deeper and see when, specifically, it might be the best choice for you. While it’s true that massage chairs are excellent at dealing with a variety of issues, the technology is more adept at handling some things than others. For instance, if your pain is mostly centered on your neck and head (say, for example, if you’d been in a car accident recently and had been diagnosed with ‘Whiplash,’) then you’ll almost certainly be better served by making regular visits to a chiropractor or a professional massage therapist. Massage chairs just don’t typically do a stellar job on this front. While that’s not back pain per se, it is obviously related, and can’t be overlooked. On the other hand, if you suffer from shoulder, upper back, mid-back, or lower back pai﻿n, these are all areas that massage chairs excel at, and indeed, many chairs are specifically designed with one or more of those areas in mind. Then, there’s chronic ﻿leg ﻿pain. Again, this isn’t back pain, but they’re closely related. And in this area, if you select the right model, you’ll find that they perform as well as, and often better than a professional masseuse. ​​​​​​​​​The important thing here though, is that if you decide to buy a massage chair, you’re going to want to have an honest conversation with yourself about exactly where you’re hurting and what you hope to get out of any chair you buy. Armed with that information, you can begin sifting through your options to find the mix of features that will get the job done, while staying within whatever budgetary parameters you’ve set for yourself. This is another big consideration. How much pain are you actually in? Granted, this is dynamic, and will change over time. Nevertheless, you should allow the level of pain you’re in right now to guide your thinking on this front. Here’s why this part matters: If you’re in severe, chronic pain, then you’re going to want to consider a chair that offers body stretching, as this feature provides the most powerful and immediate ﻿﻿﻿pain relief you could ask for. Preferably, you’ll want to pick a chair that provides multiple levels of body stretch intensity, or multiple methods of stretching/twisting that step down in intensity so that as your pain level improves, you can change the way you use the device. The single most important thing you can do to ensure that the massage chair you purchase has maximum impact is to pick your features carefully. All of these, minus the space-saving technology are essential elements of a great back massage. To pick the perfect chair for you, the best approach would be to arrange these in order of importance to you, then begin looking for chairs that give you as many of those features as possible. If you do that, the massage chair you end up with will not only help you feel better, but will deliver an experience easily on par with what you’d get from a massage therapist. This isn’t directly related to your back pain, but it does have some bearing. If you’re hurting, then even the simple act of walking or driving can be agony. Setting the appointment with your chiropractor or massage therapist, working around his or her schedule, getting to the office, then sitting in the waiting room and waiting your turn – all those things can take a toll. This is one of the hidden advantages of having a massage chair. You don’t have to put up with any of that. Any time you’re not feeling well, relief is just a few steps away. All you have to do is sit down, press a few buttons, and relax into a soothing massage. Back Massage Chair While Pregnant, Is It Safe? Finally, this is a question we get with some frequency, and because of that, we wanted to be sure to address it here. Unless your doctor has specifically advised you to steer clear of devices like this, you should experience no trouble whatsoever in using a massage chair while pregnant. Of course, the watchword here is caution. If you have any concerns about it, or experience any discomfort, you should stop immediately and tell your doctor. Then again, there’s no special cause for alarm unless you’ve got some complicated medical condition. So, are massage chairs good for your back? ​Yes, but only if you pick the “right” chair for you. The trick is in being honest about what your needs and expectations are, factoring in your budget, and buying a chair that can meet those needs without breaking the bank. There are a lot of great models out there, catering to a staggering array of needs and preferences, so finding the perfect fit can be a bit time consuming, but well worth the effort in the end. Are Massage Chairs Worth the Money?